More Forest interchangeability content here. 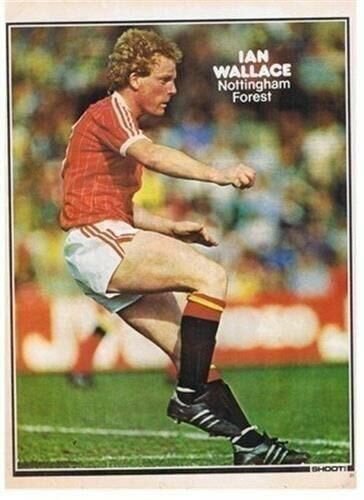 In 1986, Nottingham Forest returned to wearing Umbro kits after nine years with adidas and playing in U-Win (seemingly an Umbro sub-brand) in 1976-77. While Umbro had pushed the boat out in terms of geometric shapes in the early-to-mid-80s, they were restraining themselves again, with fabric patterns and collar- and cuff-trim the only real concessions to design on the Forest kits. The shirts followed the same design with the colours reversed, though while the home had a checkered effect, the away had a herringbone pattern like that of the Tottenham Hummel kit of the time. For some reason, the Umbro diamonds were in different places on the socks too. Home Ales were not in place at the beginning of the season and so unsponsored shirts were worn in early-season games. Also, the original plan was for the away to have red shorts, but according to David Brown, Forest manager Brian Clough preferred the black shorts. The club’s next two away kits would be white-black-white. The kits would stay the same for 1987-88 but instead of Home Ales, another Nottingham brewer was the sponsor, as the Shipstones name graced the front of the shirt. With red shorts available too, Forest could could conceivably had 12 different kit combinations with these kits (leaving aside sponsor changes). Taking into account the fact that the black shorts were never likely to feature with the home shirt, the number is reduced to ten. Impressively, they wore eight of them across the two seasons. The original white-red-white home kit would bring the number to nine, but it seems it was only worn by the youth team. Obviously, the default configurations above had the most outings. Of the four possible red and white combinations, three were worn. We’ve mentioned Forest wearing red shorts at Tottenham before and that look was seen at clubs with white shorts, like Everton, too. Red shorts and the away socks were worn at Portsmouth and, perhaps oddly, given that they had blue socks, Brighton in 1986-87. Logically, one would have thought that red shirts, white shorts and white socks would have been worn at Watford. In one game at Vicarage Road in the early 80s, they forgot about the socks clash and so ended up wearing Watford’s black set. While their away kit with adidas was yellow and so couldn’t be worn, after switching back to Umbro they preferred to go with all-white. Even in 1988-89, with Watford in black shorts, they wore the away shirt above (it was retained for a third season, with updated Shipstones logo) and the new home shorts. 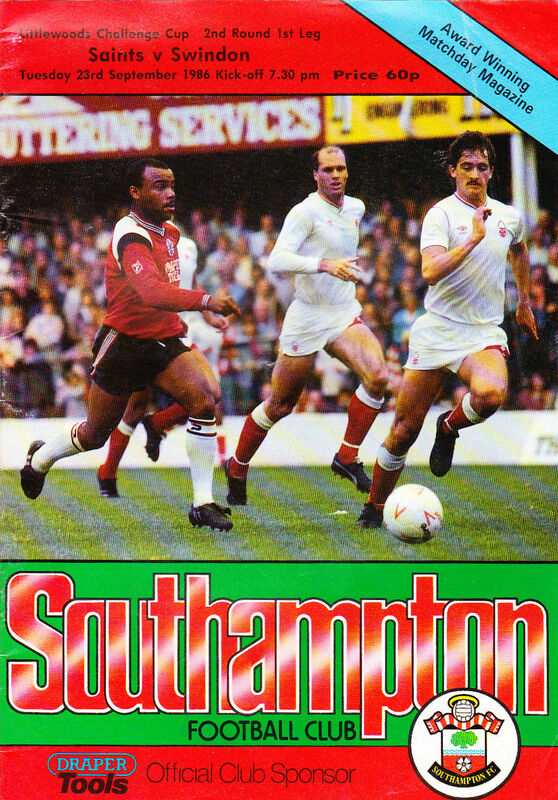 At Southampton, the black shorts and white socks both clashed and so the home sets were used. 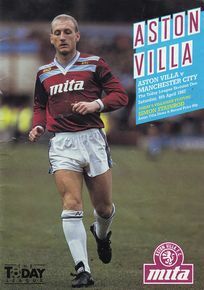 An interesting variation was away to Aston Villa in 1986-87. Villa had white shorts and socks that season and so Forest only need to change socks but they also opted to wear the red shorts. We don’t know if that was also used at West Ham that season, but in at Upton Park 87-88 the normal away shorts were paired with the home socks.